4788 - Gasketed Access Doors - Jay R. Smith MFG Co. Doors are ideally suited for new installations or for remodeling, in masonry, tile, wood or other wall and ceiling surfaces. Access door is fully gasketed and is commonly used in clean rooms, laboratories, operating rooms, etc. Door and frame are fabricated from 18 gage, galvannealed steel with a prime coat white finish. Frame is one piece construction, 1" wide and provides perfect concealment of the rough wall opening. 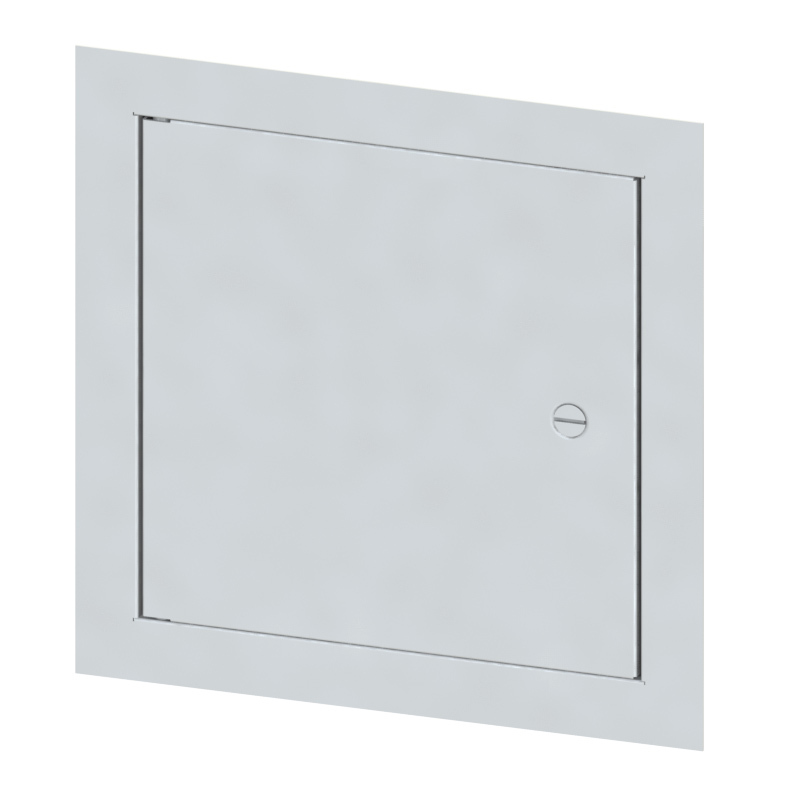 Wall frame is provided with 1/4" mounting holes for fastening within the furred spaces allowing faster installation and fixing maximum clearance. Concealed pivoting rod hinge prevents distortion and closes door squarely. Latch is screwdriver operated. Finish is a prime coat white.